Shadi-Afarain Ghasemi Jahani, MD.”Funktion hos vuxna patienter med thalidomidembryopati avseende förflyttning, dagliga aktiviteter och påverkan på livskvalitet [Function in adult patients with thalidomide embryopathy syndrome regarding mobility, daily activities, and influence on quality of life]”. EX-Center carries on, in cooperation with Karolinska Institutet, a research project entitled ”Utvärdering av livskvalitet hos personer med multipla extremitetsskador [Evaluation of Quality of Life in Persons with Multiple Extremity Injuries]”. The purpose of this study is to find out how persons with such injuries experience the quality of their life. The project coordinator is Helene Alexanderson, MD, registered physiotherapist at Karolinska Institutet, Karolinska University Hospital. Participating from EX-Center are Anita Stockselius and Marie Wikström. The Swedish Thalidomide Society has cooperated with EX-Center in running a three-year health project which has been financed by the State Inheritance Fund. The project’s purpose was to develop methods and tools with which to improve the health of persons with multiple extremity injuries. K. Ylimäinen, A. Nachemson, K Sommerstein, A Stockselius, L Norling Hermansson. Health-related quality of life in Swedish children and adolescents with limb reduction defiency. Acta Paediatrica 201099 pp. 1550-1555. Laura Schmalzl, Erik Thomke, Christina Ragnö, Maria Nilseryd, Anita Stockselius and H. Henrik Ehrsson. "Pulling telescoped phantoms out of the stump”: Manipulating the perceived position of phantom limbs using a full-body illusion. Frontiers in Human Neuroscience 2011 Volume 5 Article 121. Laura Schmalzl PhD, Christina Ragnö MSc and Henrik Ehrsson MD, PhD. An alternative to traditional mirror therapy. Iillusory touch can reduce phantom pain when Illusory movement does not. Clin J Pain 2013;00:000-000. Laura Schmalzl, Andreas Kalckert, Christina Ragnö, and H. Henrik Ehrsson. Neural correlates of the upper hand illusion in amputees: A report of two cases. Neurocase, 2013 DOI: 10. 1080/13554794.2013.791861. Strömland K. Genetic diseases of the eye. New York: Oxford University Press; 2012. ISBN 978-0-19-532614-7. Miller T, Strömland K. What can we learn from the thalidomide experience: An ophthalmologic perspective. Curr Opin Ophthalmol, 2011:22(5):356-364. Miller MT, Ventura L, Strömland K. Thalidomide and misoprostol: Ophthalmologic manifestations and associations both expected and unexpected. Birth Defects Res Part A Clin Mol Teratol. 2009:85(8):667-76. Miller MT, Strömland K, Ventura L. Congenital aberrant tearing: a re-look. Trans Am Ophthalmol Soc 2008:106:100-15. Strömland K, Philipson E, Andersson Grönlund M. Offspring of male and female parents with thalidomide embryopathy: Birth defects and functional anomalies. Teratology 2002:66(3):115-21. Miller MT, Strömland K. Teratogen update: Thalidomide: a review, with a focus on ocular findings and new potential uses. Teratology 1999:60(5):306-21. Miller MT, Strömland K, Gillberg C, Johansson M, Nilsson EW. The puzzle of autism: an ophthalmologic contribution. Trans Am Ophthalmol Soc 1998:96:369-85. Strömland K, Nordin V, Miller M, Akerström B, Gillberg C. Autism in thalidomide embryopathy: A population study. Dev Med Child Neurol 1994:36(4):351-6. Strömland K, Miller MT. 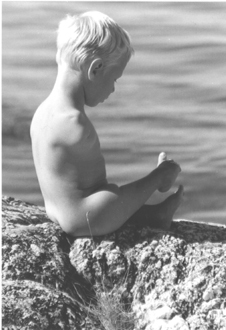 Thalidomide embryopathy: Revisited 27 years later. Acta Ophthalmol (Copenh) 1993:71(2):238-45. Strömland K, Miller M. Ocular teratology. Duane's foundations of clinical ophthalmology. Philadelphia: JB Lippincott; 1993, pp 1-29. Strömland K, Miller MT. Refractive evaluation in thalidomide embryopathy. Graefes Arch Clin Exp Ophthalmol. 1992:230(2):140-9. Miller MT, Strömland K. The study of malformations "by the company they keep". Trans Am Ophthalmol Soc 1992:90:247-60. Miller MT, Strömland K. Ocular motility in thalidomide embryopathy. J Pediatr Ophthalmol Strabismus 1991:28(1):47-54. Strömland K, Miller M, Cook C. Ocular teratology. Surv Ophthalmol 1991:35(6):429-46.